Did you know that regular maintenance off the plumbing system in your home can keep your system flowing smoothly for many years? One way to consistently maintain your system is to regularly clean your drains. This is a simple task that many homeowners fail to perform. While there are some ways that homeowners can keep their drains free of materials that forms clogs, the best way to keep you drains open and flowing freely is to consult with the professionals. Plumbers can help you with professional drain cleaning in Carson. Your drains take a lot of abuse. Makeup, grease, food, and toothpaste can leave small deposits in the pipes, accumulating over time. When this happens your drains can become obstructed. When this happens you may run out to purchase store-bought solutions from your area hardware store. Unfortunately, many of these store-bought chemicals can do more harm than good. 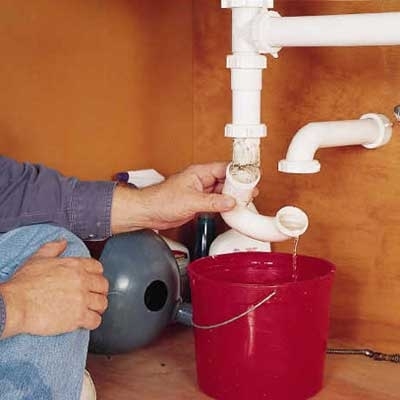 Instead of getting rid of the clog, they can actually begin to erode you pipes. Plumbers use safe chemicals to clean out the pipes, while checking for structural problems with your system that may be contributing to the obstruction. Adventurous homeowners may attempt to take the drain pipes apart to get to the clog as an alternative to using harsh chemicals. While this may work, if homeowners don’t put the drain back together properly it could lead to additional problems such as leaky pipes. The best way to fix a clog is to avoid them in the first place. A good maintenance program for the plumbing system can help with you achieve this goal, while saving you money on future service calls for problems that could have been prevented. A plumber will inspect the drain lines looking for signs of leaks. They will use a safe cleaner to loosen up any gunk deposits that have started to form so they can easily wash down the drain. Enzyme or bacteria-based cleaners work well because they feed on the organic material in the drains without corroding the metal or PVC. There are many ways that a homeowner can keep their drains flowing freely. Hot water is one of the best and easiest solutions for grease and dirt in the drains. Hot water loosens this waste that cools and attaches to the pipes. A mixture of baking soda and vinegar can kill the odors in the drains and a handful of ice cubes inserted into the garbage disposal every week can keep the blades sharp, making the smaller particles easier to flush down the drain. Just like going to the doctor for a yearly check, your home’s plumbing system needs to be checked on a regular basis. When homeowners call Carson Plumbing Champs for professional drain cleaning, this saves time and money. Call us today to schedule drain cleaning service and a video camera inspection of your plumbing system.